This post was published just before 6:15am from my home at Indian Lake Estates, FL. I spent yesterday afternoon and evening glued to the TV, enthralled by the excitement and the incredible quality of play in the final round of the PGA Championship. Kudos to Rory McIlroy who is on an incredible hot streak having won the last three tournaments and the last two majors. This post, which took me only 1 1/2 hours to prepare, marks 254 consecutive days with a new enjoyable and educational blog post. Scroll down for information on the mid-August Jamaica Bay Wildlife Refuge In-the Field Morning Sessions and the 2-DAY Nickerson Beach IPT. This image was created at Jones Beach at 5:27pm on July 16, 2014, day 2 of the Nickerson Beach IPT. I sat behind the Gitzo 3532 LS carbon fiber tripod, the Mongoose M3.6 head, the Canon EF 600mm f/4L IS II USM lens, the Canon Extender EF 2X III, and the Canon EOS-1D X. ISO 400. Evaluative metering +1 stop: 1/1000 sec. at f/11 in Manual mode. AWB. Central Sensor (by necessity)/AI Servo-Expand/Rear Focus AF just bird’s neck directly above the egg was active at the moment of exposure. When you add the 2X TC to an f/4 lens with the 1DX or the 5D III hit the MFn button once to toggle to AF Expand and enjoy 4 extra AF sensors. Learn everything there is to know about the 1D X and 5D III AF systems including how to manage the various AF Area Selection Modes, when to use which one, and several ways to move the AF sensor around in the 1D X AF Guide and the 5D Mark III User’s Guide. Click here to see the latest version of the Rear Focus Tutorial. Click on the image to see a larger version. . 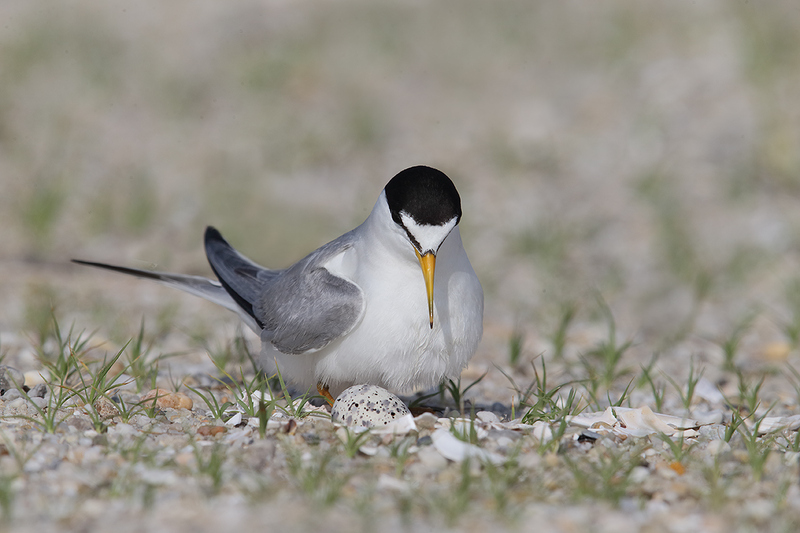 Thanks again to Dr. Greg Gulbransen for alerting me to the presence of a small Least Tern colony at Jones Beach just before the Nickerson IPT began and then keeping me updated on the status of the nest and egg featured in the opening image. Greg recently saw Hillary Clinton and had a chance to bring her up to date with the Rear View Camera legislation and the lawsuit. If you missed that amazing story, you can learn more in the How Can a Man Who Runs Over and Kills His 2-Year Old Son While Backing Up His Car Become a Hero? blog post. I made her feel proud of what she had done (helped save at least 59-69 lives a year according to the DOT–the Department of Transportation); she was wild with joy. It’s pretty cool to be able to impress the next president of the USA. She met my family again and we had a great time. I was on top of the world and so was she. This blonde Least Tern chick was less than 3 days old when I photographed it on the early morning of July 21 again while I sat behind the Gitzo 3532 LS carbon fiber tripod, the Mongoose M3.6 head, the Canon EF 600mm f/4L IS II USM lens, the Canon Extender EF 2X III, and the Canon EOS-1D X. ISO 400. Evaluative metering +2/3 stop: 1/125 sec. at f/9 in Av mode. AWB. Central Sensor (by necessity)/AI Servo-Expand/Rear Focus AF the chick’s eye and re-compose. Again, when you add the 2X TC to an f/4 lens with the 1DX or the 5D III hit the MFn button once to toggle to AF Expand and enjoy 4 extra AF sensors. Learn everything there is to know about the 1D X and 5D III AF systems including how to manage the various AF Area Selection Modes, when to use which one, and several ways to move the AF sensor around in the 1D X AF Guide and the 5D Mark III User’s Guide. Click here to see the latest version of the Rear Focus Tutorial. Click on the image to see a larger version. . The tiny blonde chick in Image #2 hatched from the egg seen in Image #1 two mornings after the IPT ended. Note that I almost always stop down at least 1/3 stop from wide open (f/8) when working with an f/4 lens and a 2X TC. What was my only wish for Image #2? For me, the coolest thing about learning to identify shorebirds is that once you learn the basics it is actually easier to age a shorebird, that is, to tell if it an adult or a juvenile, than it is to identify it as to species. And with a bit of experience, study, and practice, identifying the common North American migrant shorebirds is nowhere as difficult as it is reputed to be. Advice: get yourself a copy of my Shorebirds: Beautiful Beachcombers, study, and get out to local ponds, estuaries, beaches, and mudflats as much as possible for the next month. Mid-August through early September is the best time of year to see both adult and fresh juvenile shorebirds together on migration. Better yet, join me at JBWR for two great mornings of shorebird photography while honing your identification and ageing skills and learning a ton about my favorite bird family. See below for details. For the correct ageing and ID of each of the birds in the composite above, see the comments here. Saturday August 23 and Sunday August 24: sunrise till 10am followed by brunch and image review at a local diner: $299/morning session. $549 for both days. Limit 6. Join me at Jamaica Bay Wildlife Refuge in Queens, NY for a morning or two of shorebird photography in the mud. 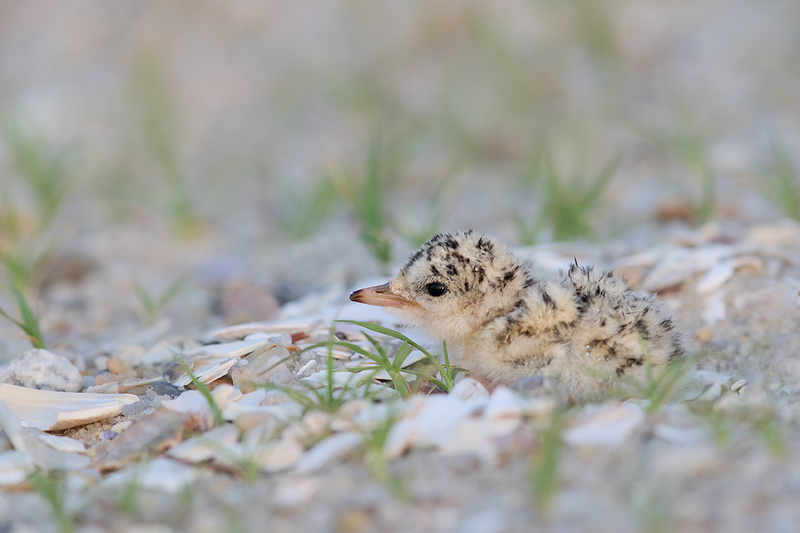 You will learn to age and identify the common shorebirds that we will encounter. 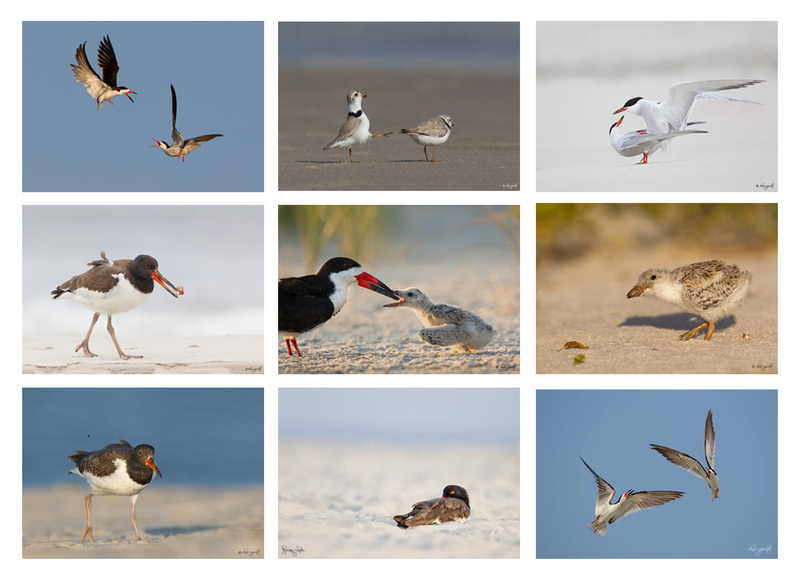 You will learn the best times, tides, and locations to visit for the very best shorebird photography on the east coast and why only a very few days each year offer the best chances for success. I will teach you how to get close; we will either be sitting in or lying on the hard mud. 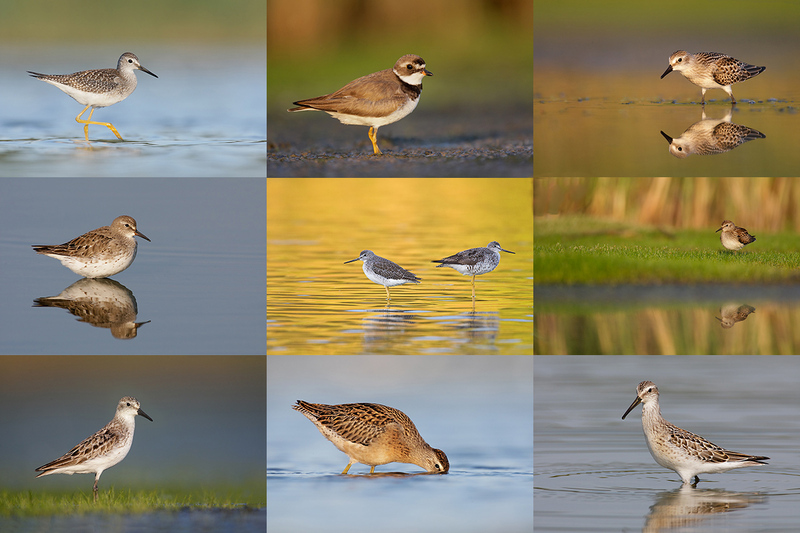 These two morning sessions offer you a chance to learn from someone who has spent more time studying and photographing the shorebirds of JBWR than anyone alive. Join me and you are invited to pick my brain; as is usual, I share everything that I know. For those who are coming from out of town who would like to photograph on either Saturday or Sunday afternoon I will be glad to offer location guidance and options. Some folks may wish to join me for a JBWR/Nickerson Beach double header. See below for Nickerson Beach details. Payment in full is due when you register and is non-refundable. Call me on weekends or Jim or Jen weekdays at 863-692-0906 with a credit card in hand to register. Please print, complete, and sign the form that is linked to here and shoot us a scanned copy via e-mail or a hard copy via snail mail to BIRDS AS ART, PO Box 7245, Indian Lake Estates, FL 33855. 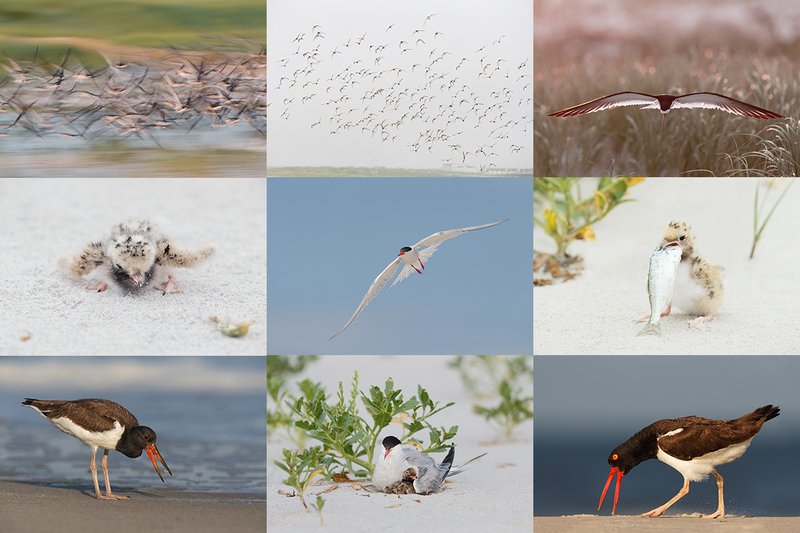 Join me on Long Island, NY soon to photograph Black Skimmers with chicks and young of all sizes, adult and juvenile Common Terns, and American Oystercatchers with grown young. The skimmers will be the stars of the show. Mid- to late August is prime time for photographing young skimmers. Chances are great to witness Great Black-backed Gull predation. The will also be chances to photograph a variety of shorebird species including large flocks of southbound migrant Sanderlings. Car-pooling is recommended; if we opt to return to the beach before 5pm there is a $30/vehicle parking fee that is not included so it is best to share that expense. Parking in the morning is free. Call me on weekends or Jim or Jen weekdays at 863-692-0906 with a credit card in hand to register and leave a non-refundable $200 deposit. We will hold your spot pending the arrival of a check for your $549 balance. Checks should be made out to “Arthur Morris” and mailed to us at BIRDS AS ART, PO Box 7245, Indian Lake Estates, FL 33855. Please print, complete, and sign the form that is linked to here and shoot us a scanned copy via email or a hard copy via snail mail to the PO Box above. * Folks who sign up for one or both JBWR morning sessions may apply a $50 discount to their Nickerson Beach fee bringing that cost down to $699. If you have any questions please feel free to contact me via e-mail or by phone this weekend at 863-692-0906. Some may wish to combine this workshop with one or both of my JBWR morning In-the-Field sessions above or with Denise’s Nickerson Beach weekend workshop below. Denise Ippolito Nickerson Beach Workshop ~ Saturday & Sunday August 23-24th, $699.00 includes 4 photo sessions and 2 Image Review/ Photoshop sessions. One great leader! Please let Denise know that you learned of this workshop through BIRDS AS ART. Click here and scroll down to register. There is just too much going on at Nickerson to stay away. I have decided to do a 2-day workshop at Nickerson Beach this August. By then lots of the Black Skimmer chicks will be hatched and there should also be plenty of action! The skimmers are lots of fun to photograph in flight, especially when they battle. We should also have good opportunities to photograph American Oystercatcher, Common Tern and maybe even some Least Terns and Piping Plovers. I will do my very best to get the group in position to capture great images. I will share with you my flight techniques and my techniques on getting you close to your subject. I will help you to recognize good situations and become a better bird photographer. This workshop needs 6 participants. Saturday Schedule: 5:45am- 9:45am morning photography session, Lunch Break – Photoshop/Image Review, Gear and Camera settings session, Afternoon Break, 4:30pm- 7:30pm afternoon photography session. Sunday Schedule: 5:45am- 9:45am morning photography session, Lunch Break- Photoshop/Image Review, Afternoon Break, 4:30pm- 7:30pm afternoon photography session. I recommend that you bring your longest lens. If that is a 70-200mm lens than you will need a teleconvertor. You should have at the very least 400mm of focal length. A sturdy tripod- preferably w/o a center column. A complete list of gear recommendations as well as hotel recommendations and general information sheet will be provided at sign up. Please contact Denise via e-mail with any questions. An Amazing Package for Someone Young and Strong. Or Old and Strong. Chuck Pettis is offering a Canon EF 600mm f/4L IS USM lens for $6199 with an amazing package of extras, extras that I used and depend on. The lens is in excellent condition used only a dozen times. The sale includes the Lens Trunk (one latch on the case was damaged by the TSA on a trip to Bosque but the latch still functions fine), the leather lens hood, and the rear cap. Amazingly Chuck is also including more than $300 in extras: a Canon 52mm Drop-in Circular Polarizing Filter PL-C, also in excellent condition and an extra Canon 52mm Drop-in Filter Holder in excellent condition. I put a 3-stop ND in my extra filter draw for creating blurs on sunny days. The seller will also pay insured UPS shipping within the continental US. Interested folks can contact Chuck via e-mail or try him at 360-331-6667 or on his cell at 206-930-2623. The old six was my workhorse super-telephoto for too many years…. Though we have sold a boatload of great gear recently, there are still some great buys available. Click here to see the complete listings. Below is today’s featured item. I think, you prefer an better head angle of the bird. Thank you for including the link to Dr. Greg’s tragic experience. His ability to transform the grief and trauma into a positive for countless people is inspiring. Its already a nice image there, probably a bit of head angle would have made it more dramatic!!! Thanks Doug. That big broken clam shell does not bug me but I might want to revisit and tone it down a bit…. I’m not to sure what it is…shell (almost looks like a broken dish) on the left hand side wasn’t there?